Have you ever considered volunteering your time in a beautiful setting? If so, then the Vermont State Parks Volunteer Program may be for you. Volunteer service can be arranged at virtually any state park. Volunteering is a rewarding way to give back to the community and become involved with stewarding our state’s natural resources. Vermont State Parks offer ample opportunities for volunteer service for individuals and civic groups from short term projects to season-long assignments. Vermont State Parks welcomes people of all interests and abilities. People with diverse backgrounds and experiences fill roles in all areas of our operation. Volunteering may include visitor registration, fee collection, customer service, leading nature programs, cleaning restrooms, cleaning campsites, lawn mowing, landscaping and beautification, park clean up at opening or closing or staffing special events. Camping volunteers are asked to commit to a minimum 6 week stay. Volunteers work 30 hours per week, per site (for instance, a couple staying on one site works a total of 30 hours between the two) and receive free use of a campsite with hookups (most have water, electric and sewer), propane refills, free admission to State Parks, and discounted or free admission to many Vermont tourist attractions. Volunteers provide their own self-contained camping equipment. All staff with pets abide by Park Pet Regulations and set an example for our guests. Camping Volunteers are provided with identification and staff uniforms. When necessary, volunteers can be reimbursed for mileage when incurred on official business. Duties and schedules vary and are set by the Park Ranger (manager) at a specific park depending on the needs of the park, staff, and volunteers. Generally, volunteers work between 3-5 days per week and receive consecutive days off. We are currently accepting applications for the 2019 season. Contact the regional manager of the area that interests you. Emails listed below. Volunteer opportunities are most abundant during the park operating season (May through October), although some opportunities may exist at other times as well. We require that you commit to working a minimum of 30 hours per week. This can be split between two people if there is a couple on site. Your work schedule of days and times worked will be decided by the Park Ranger once you arrive at the park. Generally speaking, your schedule will include days off in a row. You will have input into your schedule. Who else works at the park? All of our parks are staffed by seasonal employees. Park Rangers (the managers) are first to arrive in early May. Attendant staff arrive on a graduated schedule usually until mid June. In a few parks, we have a partnership with the Vermont Youth Conservation Corps (VYCC), an organization that puts an emphasis on teaching job and life skills to teenagers. In those parks, there are Park Managers, assistants, and corps members. Your role as a park volunteer will be similar to other staff members, and you will be part of the park staff like everyone else. Will there be other volunteers there? Most of our parks have only one campsite for volunteers. A few of the largest parks have spots for more than one. Who else lives in the park? In all cases, the Park Ranger lives in housing provided as a condition of employment. Larger parks have additional housing for assistant rangers and sometimes attendant staff. What is the difference between a host and a volunteer? In Vermont, we do not use the term “park host”. We have volunteer attendants that perform similar duties to other attendant staff. All staff members, whether volunteer or paid, work as part of a park staff team to accomplish similar tasks. What types of job duties will we perform? We request that campground volunteers stay with us for at least 6 weeks. However, when applying, please list the maximum amount of time that your are available and would like to volunteer with us. Preference is given to those who can stay the longest. We have a particular need for volunteers to stay from about Memorial Day through about Labor Day. How big is the campsite I will have? This varies from park to park. Generally, most of our volunteer sites can accommodate up to at least a 30 foot camper. Be sure to note the type and size of RV on your application, and be sure to ask. What amenities are offered on the volunteer sites? Volunteer sites include water, electric (30 amp min), and sewer (at most locations). Many sites have 50 amp electric available. A few sites do not have sewer hookups on the site, but all parks with volunteer sites have trailer sanitary stations. We do not provide hookups of any kind at this time to park visitors who rent our campsites. Will I have satellite dish or cellular telephone reception? This varies widely. Satellite dish reception is available in some parks where there is a clear view of the horizon with no obstructions, like trees or hills. Vermont is a rural, mountainous state so cellular telephone coverage tends to be along the major travel corridors and around the larger towns and cities. If these things are important to you, be sure to ask about them. This varies between parks. Public wifi is offered at a few of our campgrounds. Most parks are in close proximity to local libraries where there are usually public access computers. Some parks are near facilities with wireless internet (WiFi). If this is important to you, be sure to ask. What benefits do I receive as Vermont State Parks Volunteer? 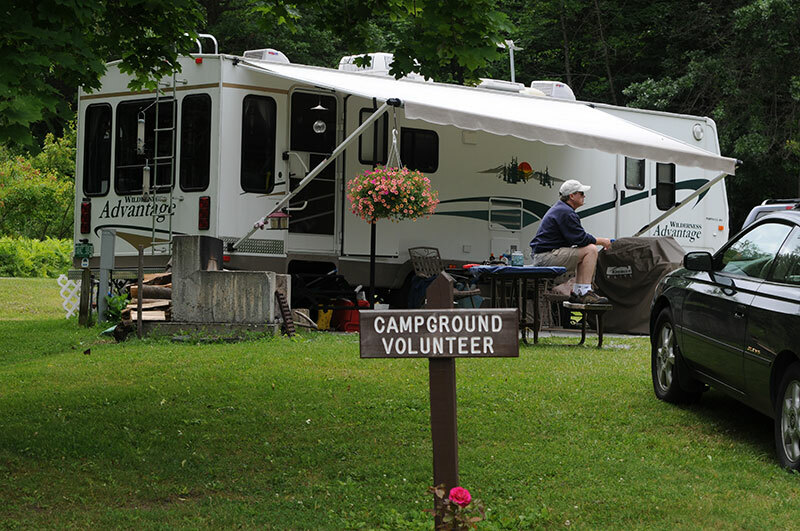 Our campground volunteers receive free fishing licenses if they choose, propane refills for RVs, free admission to other state parks, and free or reduced admission to many Vermont tourist attractions through our membership in the Vermont Attractions Association. You will be issued an ID card valid during your time with us to enable you to take advantage of some of these things. Check out our current list of free attractions (PDF) you can take advantage of. 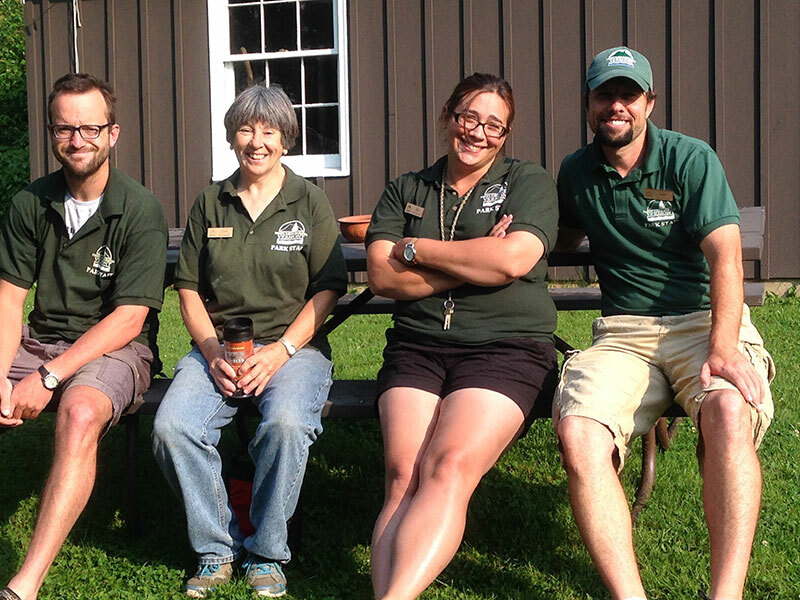 Vermont State Parks welcome short term volunteers. We get many requests from long-time residents looking to give back to their communities, and newcomers to the area looking for a way to meet new people in an exciting and scenic setting. Individuals help out at park openings, closings, and with special events. They can also donate services to our nature programs. These commitments range from a few hours at one time, to regular engagements throughout the operating season. 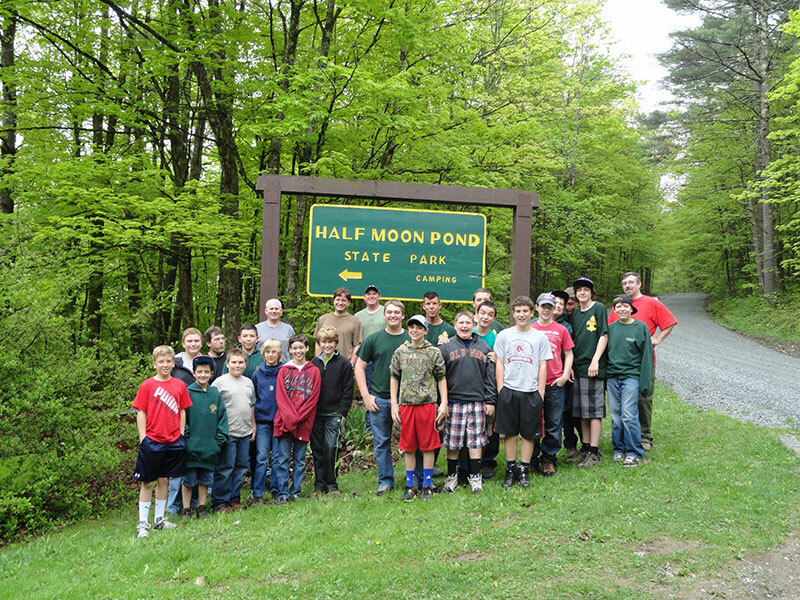 Many civic groups perform community service activities in our parks from Boy Scouts to RV clubs. State Parks are a great place to fulfill community service requirements for scouting and other civic groups. Some groups exchange service for camping or day use vouchers.